It’s been a while since I last posted anything, but I’ve been quite busy. 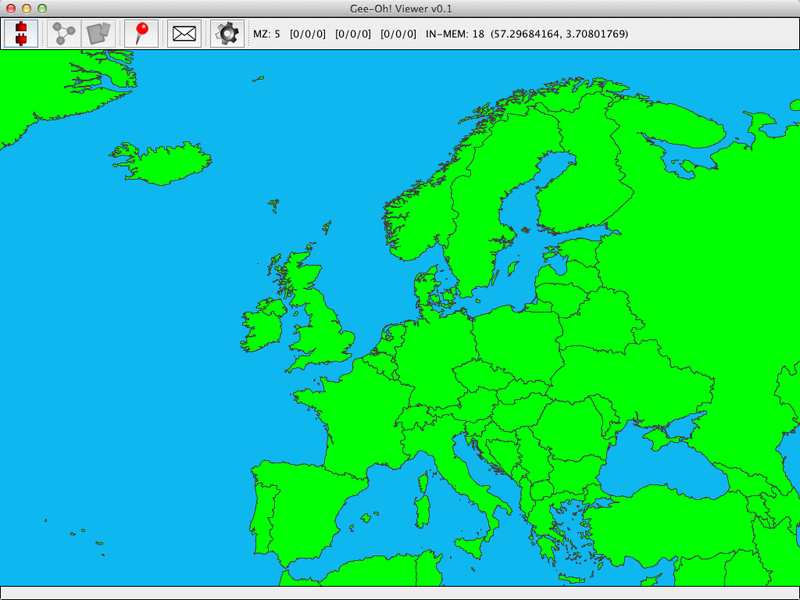 Since last time, I’ve made great progress with the maps – and the server APIs, database etc. – and Gee-Oh! is really starting to take shape. 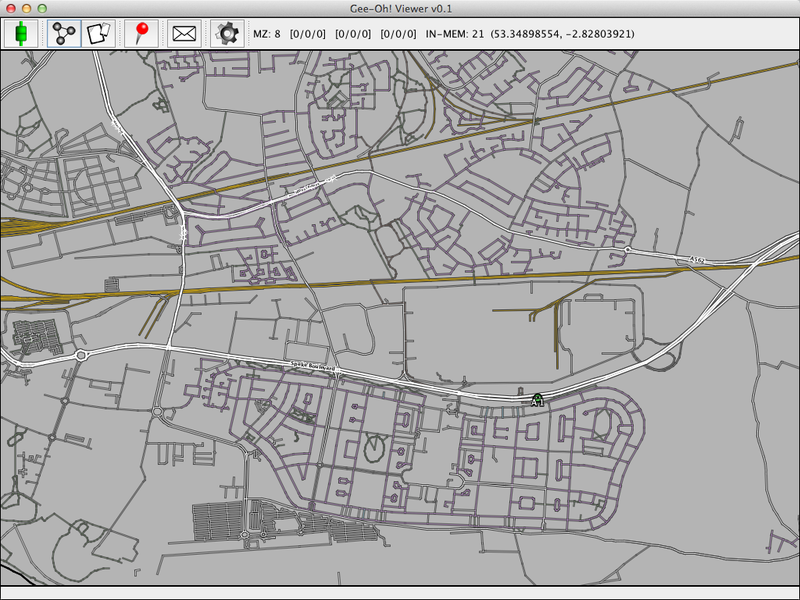 The top screenshots show that I’ve managed to get full global data into it, and this low-res rendering of areas kicks in after we’ve zoomed out beyond the detail of individual roads. I have done a bit of work on the detailed rendering of roads etc. 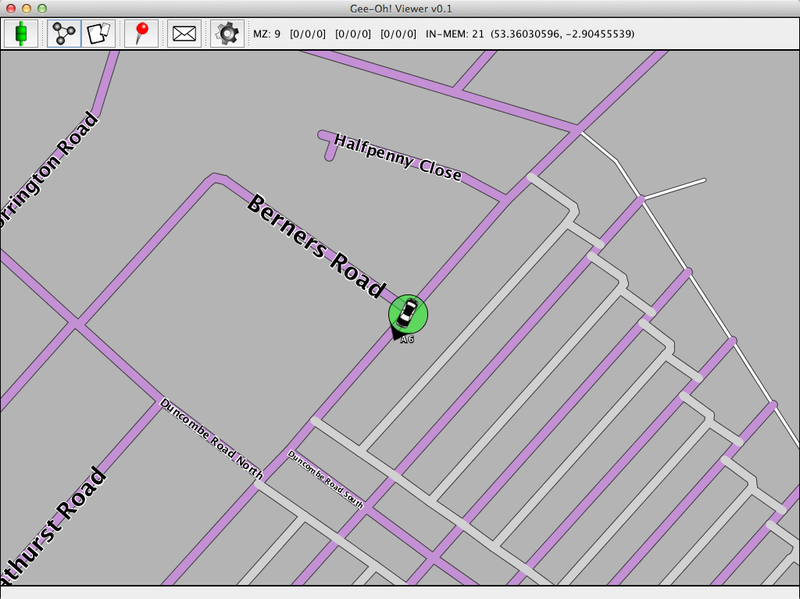 as shown below, with road names also, and you can see that we’re now rendering Devices, with direction of travel, icon depicting Device type, and colour coded node to denote how current the last interaction was. I’ve also implemented two-way encrypted communication between connected Devices, and I will be developing this to allow geospatial data-based instructions to be sent/received/acknowledged/accepted/rejected. There’s probably a lot of other stuff I can’t quite remember right now, but I’ve made a shitload of progress anyway. I’ll be looking to upload a video demonstration once I’m happy with the performance. After the maps are done, I will put Gee-Oh! 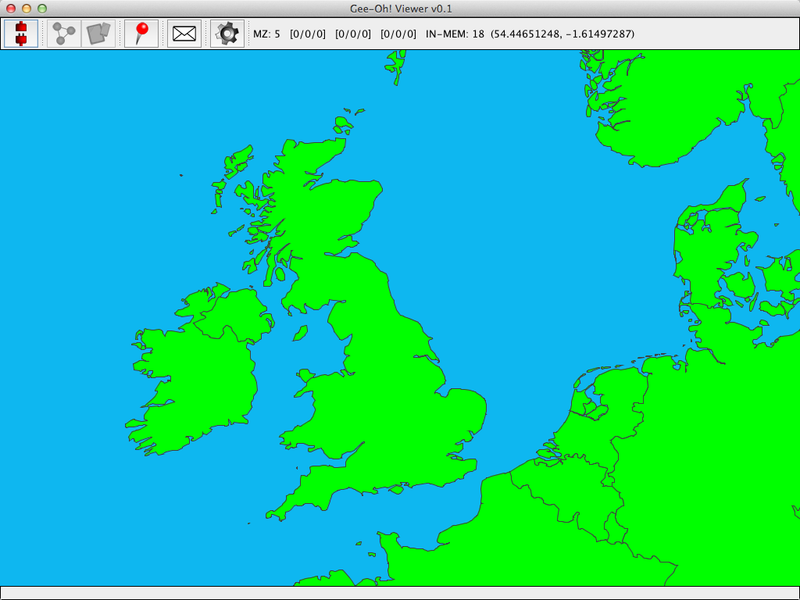 development on hold while I put an Android version of the maps into MakingTracksGPS and release the next version. Then it’s back onto Gee-Oh! and Gee-Oh! Mobile.